Don't miss out on this 2 bedroom with a den, two bath, two car garage home located in the Southshore's gated 55+ plus community! The spacious kitchen includes corian counter top, pantry, stainless steel appliances, Solar Tube skylight in kitchen for added natural light, and breakfast bar. Absolutely no carpet. Tile/laminate throughout the home. Beautiful plantation shutters throughout including the 8' sliding glass doors. Spacious master at the back of the home that features a walk in closet and private bath with double sink, and large, tiled walk-in low threshold shower. Den/Office located at the front of the home off foyer. Great room with low maintenance tile floors and crown molding, opens up to the screened in lanai. Enjoy your morning coffee on screened front patio. Amazing community center with work- out facilities, resort style pool, work out pool and additional non-heated pool, tennis courts, and much more! Community hosts events and activities all throughout the year. 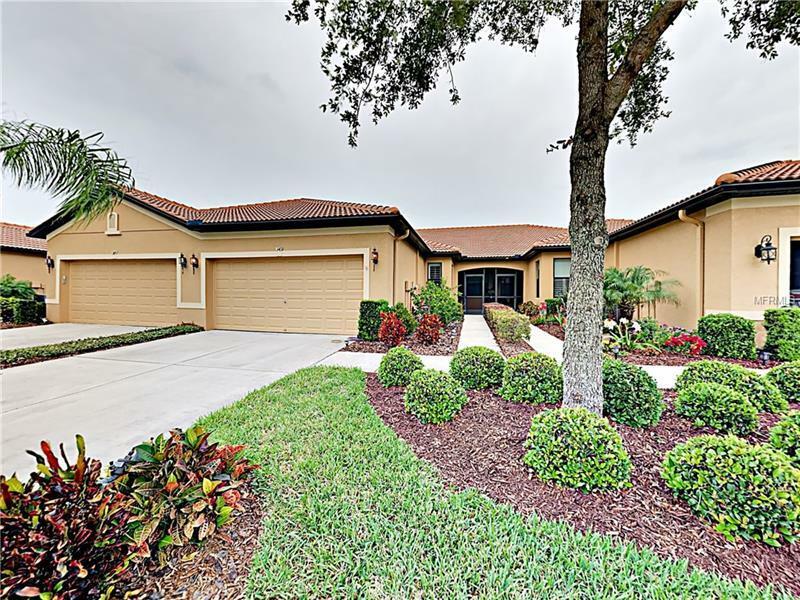 Centrally located between Tampa, and Bradenton w/easy access to I-75. Short commute to dining, shopping, and beaches. Swing by and take a look today! If buyer is not accompanied by Realtor, they must call our Call Center with at least an hours notice.